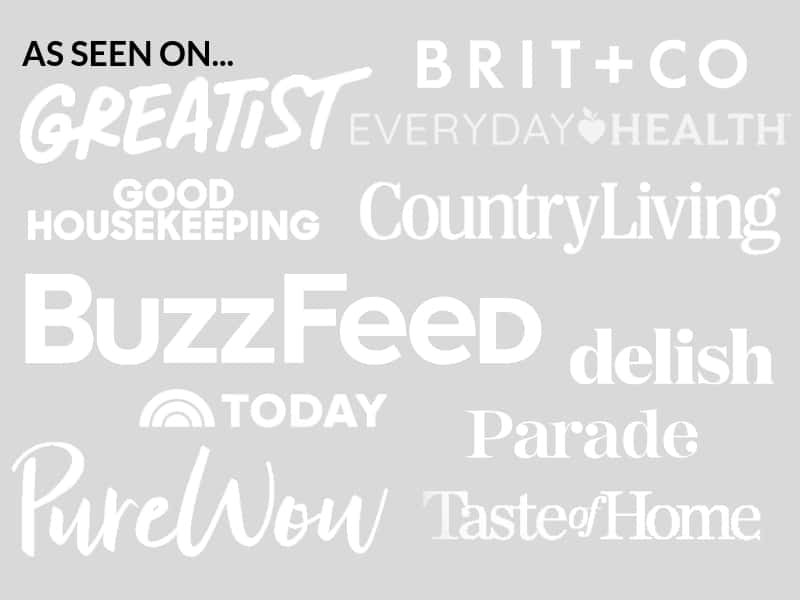 June 6, 2018 By Elizabeth Lindemann Leave a Comment / This post may contain affiliate links. 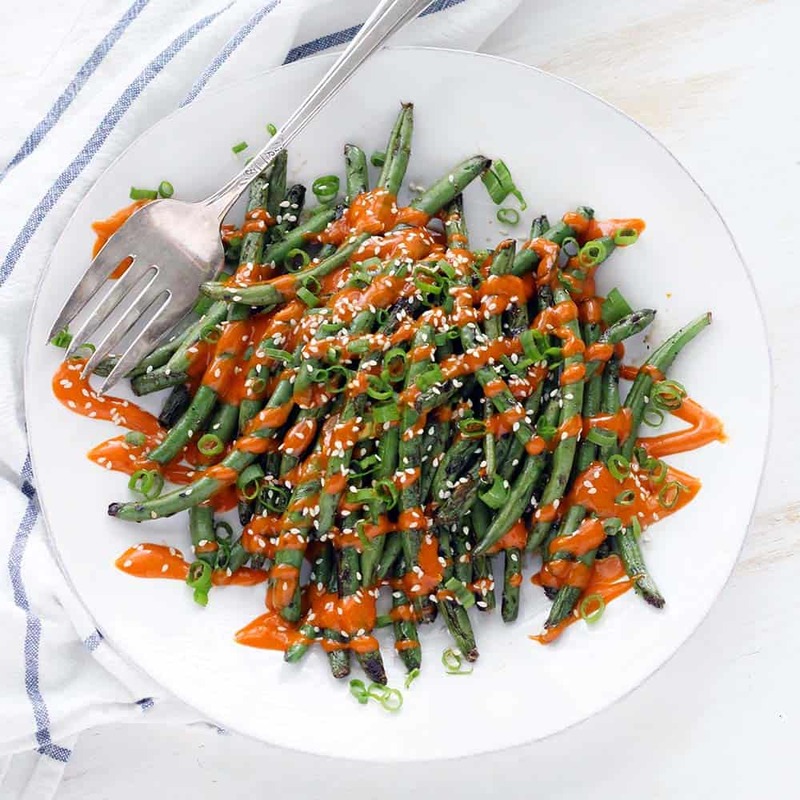 These Grilled Green Beans are covered in a delicious, spicy gochujang mayo mixed with toasted sesame oil and soy sauce. No grill? No problem- just sauté or roast the beans instead. This is such a great low carb side dish, and the leftover mayo (if you have any) is great on eggs, sandwiches, or burgers! This was my first time using gochujang and I AM HOOKED. Gochujang is a Korean condiment- it’s a spicy and sweet fermented chili paste made from chilis and glutinous rice. It has SO much flavor. One of my favorite ways to eat veggies is with delicious dips- especially steamed broccoli with soy mayo dip. This gochujang mayo is my attempt at a spicy version of this sauce. It’s a simple mixture of mayonnaise, soy sauce, toasted sesame oil, and gochujang. Gochujang was easy to find at my local grocery store with the other Asian condiments. If you can’t find it, you can use Sriracha hot sauce as a substitute. Now that it’s officially summertime (well, almost…), I’ve been wanting to grill ALL THE THINGS. We made the best steak of our lives a couple of weeks ago (thanks to the genius of Ina Garten). We’ve cooked zucchini and asparagus and other veggies in our grill basket. But full disclosure: it’s dang hot in Texas, and even though it’s summertime, I cooked these green beans indoors on my cast iron grill pan. They were still DELICIOUS. Next time, I’m going full-on charcoal grill with these. I think the smoky flavor that you get from grilling with charcoal would taste so, SO good with all the complex flavors of the gochujang mayo sauce. But I love having alternatives for when the weather isn’t good, or if it’s the middle of winter and you want to make these. An indoor grill pan would be fine, as well as sautéing the green beans or roasting them. Because the green beans are pretty good, but the sauce is really the star of this show. I love green beans. There’s so much you can do with them! I love them cooked Southern style (with bacon), Greek style (with tomatoes and onions), or tossed with blue cheese and walnuts (YUM). They go with so many things, and are full of healthy nutrients and tons of fiber. 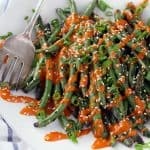 This recipe would also be great if you used broccoli, asparagus, zucchini, cauliflower, or other veggies in place of the grilled green beans. Just toss them in your grill pan with oil, salt, and pepper, and cover them in the gochujang mayo once they’re cooked. Again, this recipe is really ALL about the mayo. Which, by the way, my toddler devoured. Not the green beans. Not her veggie burger that we topped with the mayo. JUST the mayo. What toddler does that? Mine does. Good taste, little girl. Good taste. She then threw a bit of a tantrum when we wouldn’t let her ONLY eat the mayo for dinner. But I digress. We somehow had a little bit of the gochujang mayo left over and we’ve been enjoying it on eggs and sandwiches. It would be so great to add to burgers, or use as a dip for fries, too. These green beans were so great on the side of this six-minute seared ahi tuna steaks recipe. I just added the marinated tuna to the hot grill pan when the green beans were done, and a few minutes later, dinner was served! It was SO quick and easy, and a perfect low-carb summertime meal. They’d also be great on the side of teriyaki or mandarin orange glazed salmon, or any other simple Asian-flavored protein. 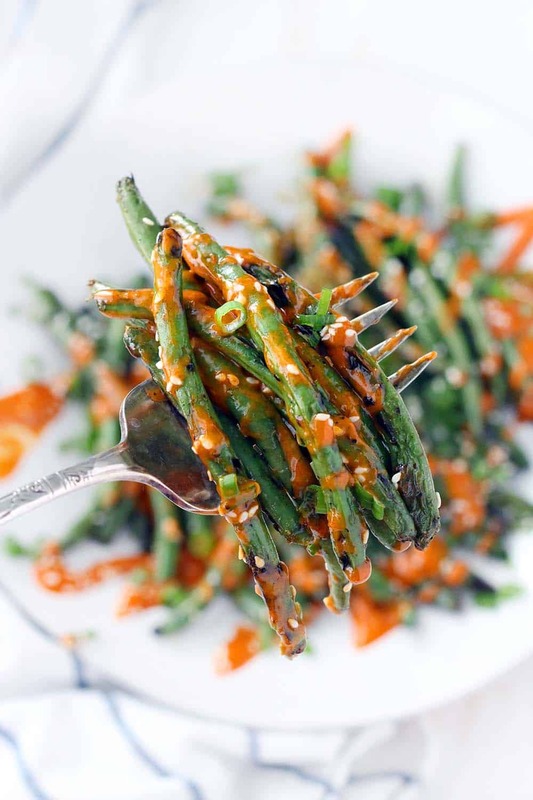 Here’s the recipe for Grilled Green Beans with Gochujang Mayo! 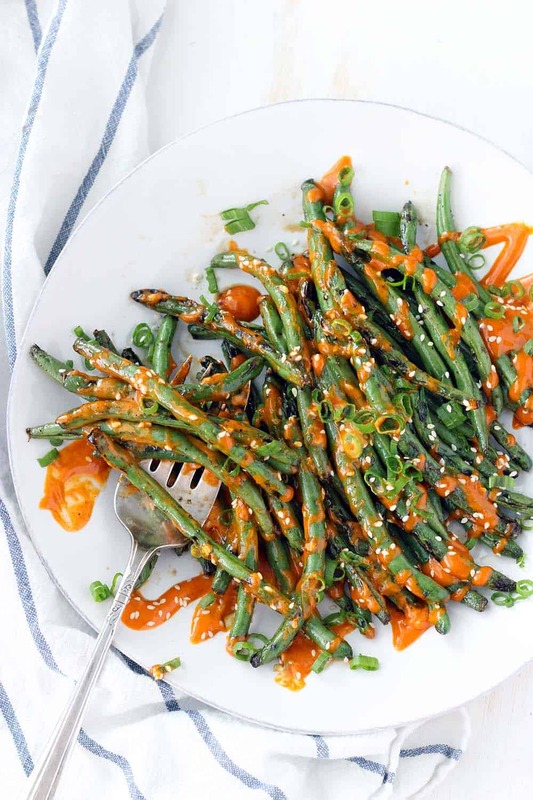 These grilled green beans are covered in spicy gochujang mayo with soy sauce and toasted sesame oil. This is the perfect low carb side dish, and they leftover mayo is amazing on sandwiches or on eggs! No grill? 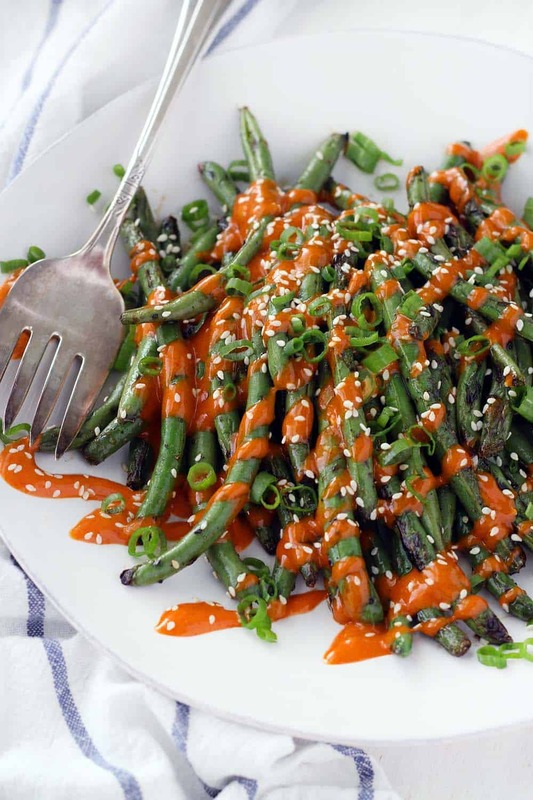 The beans can be sautéed or roasted as an alternative, and sriracha can be used as a substitute for gochujang. In a bowl, toss the green beans with the canola oil, salt, and pepper. Heat a grill pan until flaming hot and add the green beans. Or, add the green beans to a grill basket and place on a medium-hot charcoal or gas grill. Grill until green beans get some nice charred color and are slightly soft, tossing occasionally (5-10 minutes, depending on how hot the grill is). Meanwhile, whisk together the mayonnaise, gochujang, soy sauce, and toasted sesame oil. 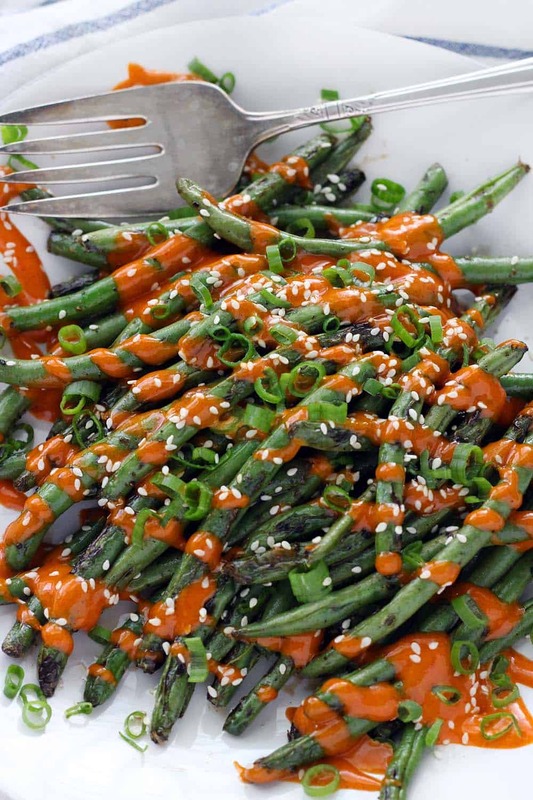 Serve green beans tossed with the gochujang mayo and topped with sesame seeds and green onions. Don't have a grill? No problem! You can sautè the green beans or roast them as an alternative. Have leftover mayo? Use it on sandwiches, on eggs, tacos, or as a dip for fries. Variation: try using broccoli, asparagus, cauliflower, or other veggies in place of the green beans.